"We stayed the first 3 weeks of september 2012 in this holiday house. It was great.The house is very clean and quite enough space we were with only 2 persons so quite enough space.Having a terrace and garage with this house was really a plus.The location was also lovely and very quiet at night. Surroundings good as well, nearby beach, shopping main street, drug store, supermarkt, everything you should need is in walking distance. Overall just "GREAT". Staying in this house made our vacation one of the best !" 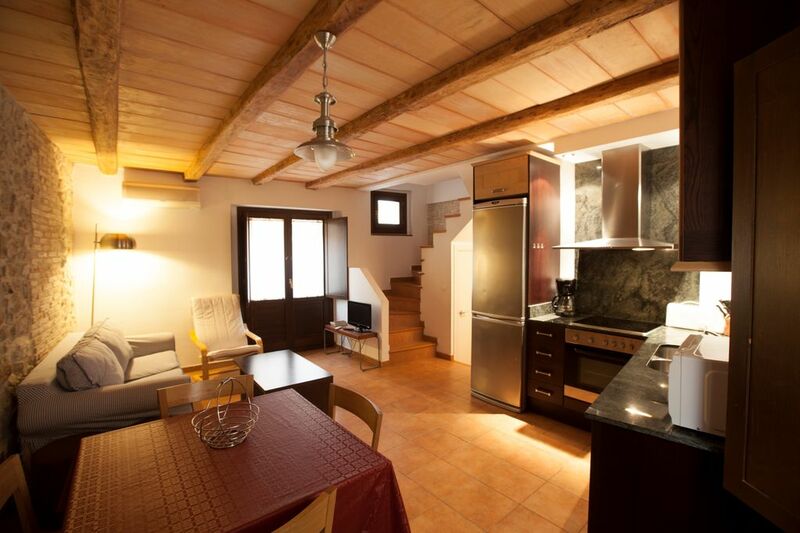 "Beautifully renovated old house in the centre of the town near to everything. Extremely quiet at night. A real luxury having the garage in the house. Best huge double bed that we have ever had in a holiday let. We were able to walk to the beaches and leave the car where it was. It was only a 5 minute walk to the sea front and there were lots of restaurants." "This house was very clean and in a good situation close to all amenities. Had a great holiday and we were well looked after by the owner. Would definitely stay here again." Todo perfecto, casa limpia y con todo lo necesario para una estancia agradable. La casa es muy bonita y limpia, en una zona muy practica ya que tienes todos los comercios cerca y tambien la playa. Jeanine siempre esta atenta a tus posibles dudas y responde rapidamente. Una experiencia para repetir.